US-Philippines Society Co-Chair Manuel V. Pangilinan will host a Board of Directors Meeting and Business Mission in Manila, February 17-20. Leading the high-level U.S. delegation will be Co-Chair John Negroponte, former ambassador to the Philippines and Deputy Secretary of State. Joining Negroponte are three other distinguished American ambassadors to the Philippines, Frank Wisner, Richard Murphy, and Thomas Hubbard, along with Society President Ambassador John Maisto. The Society’s bi-national board includes business, professional and civic leaders who will convene to explore ways to deepen bilateral cooperation and private sector relationships at the mid-point for administrations in both Manila and Washington. The Society’s three-day program offers an opportunity to reinforce support for new trade and investment ties through a comprehensive bilateral Free Trade Agreement that benefits both countries by enhancing commercial links, fostering job creation, strengthening internationally recognized standards, and yielding strategic benefits. The Society board also welcomes initiatives from the U.S. government to boost support for American business through mechanisms under the “Build Act,” including establishment of the U.S. International Development Finance Corporation, as concrete measures for creating more productive partnerships with the Philippines, especially in the Energy, ICT, and Infrastructure sectors. 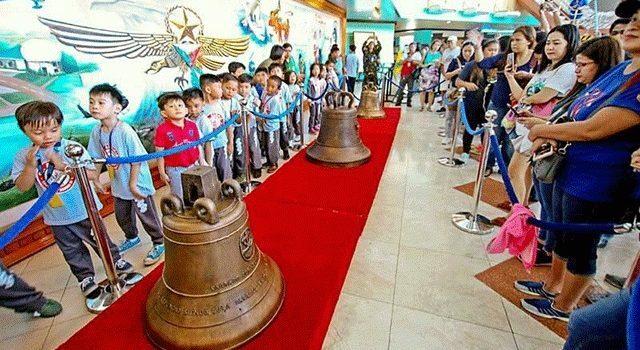 Key members of the Society provided critical support for the recent return of the Bells of Balangiga that addressed a longstanding historical grievance, fostered reconciliation, and strengthened the environment for strategic cooperation and engagement. Members participated in the December 15 Bells’ turnover at the parish of San Lorenzo de Martir in Eastern Samar, and a delegation will return to Balangiga during the board meeting program to pay respects. Members of the board look forward to meeting with President Duterte and his economic team led by Finance Secretary Carlos Dominguez, and legislators, to gain a fuller understanding of the Philippines’ domestic and foreign policy priorities. 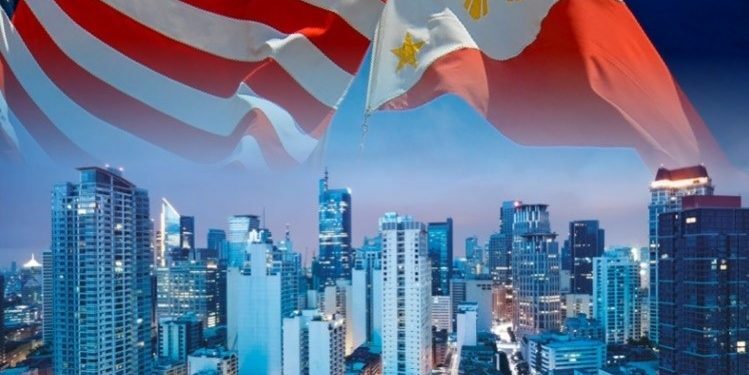 Delegates hope to learn more about sectors that can benefit from increased American investment and will again encourage Philippine businesses to look at investment opportunities in the U.S. The Society values the opportunity to gain insights from Philippine private sector counterparts and the distinguished U.S. Ambassador to the Philippines Sung Y. Kim. The Society is especially grateful for the support and engagement of the Philippine Ambassador to the United States Jose M. Romualdez, who will welcome members to Manila. The Society also acknowledges with gratitude its continuing partnership with the Philippines-United States Business Council and the Makati Business Club. Headquartered in Washington, the Society was launched 2012 with the mission of enhancing and strengthening the Philippine-U.S. relationship, while raising awareness of today’s Philippines through programs on business, governance, culture, shared history, education, strategic issues, and conflict resolution. The Society’s programs reach policy-makers and opinion-shapers in Washington and beyond, and attract interest from within the growing Filipino-American community. Celebrating its seventh anniversary this year, the Society is recognized as the premier organization promoting Philippines-U.S. relations. With support from the Starr Foundation, companies, and individual Americans, the Society provided more than $2 million to assist victims of Typhoon Haiyan. Donations were channeled to a dozen recipient organizations, notably the Philippine Disaster Resilience Foundation (PDRF), the Zuellig Family Foundation (ZFF), and the BDO Foundation, each connected to the Society’s board. The Society also raised funds in 2018 to provide health, education and livelihood assistance to families displaced during the Marawi Siege. The Society plans to raise additional funds in 2019 to support PDRF assistance projects in the Marawi area. 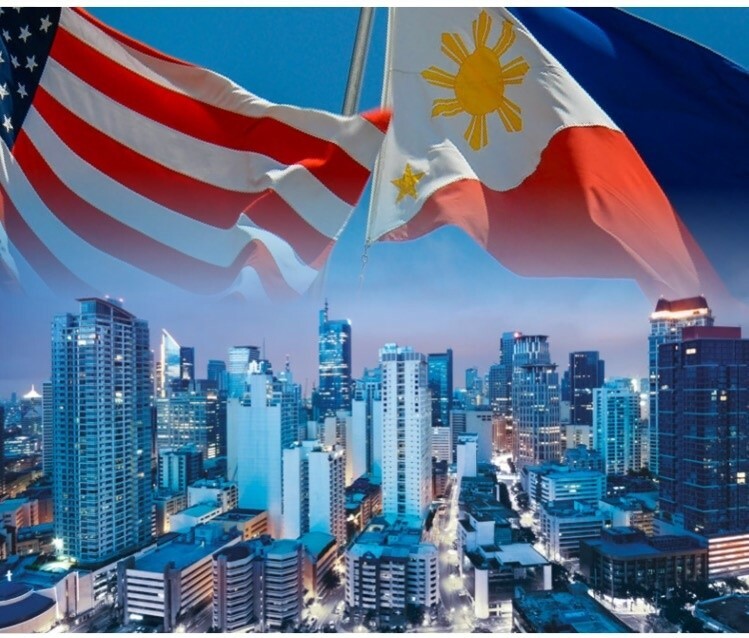 Ambassador Frank Wisner: "The United States & the Philippines"